In 2003 Sony Online Entertainment released Planetside. Designed as the first MMOFPS, Planetside allowed hundreds of players to fight in combined arms battles across massive maps. While innovative Planetside never found wide spread success among the FPS community. Fast forward to today and SOE is at it again with the second release Planetside 2. With updated graphics and modern day FPS features SOE is hoping to get it right this time and be the biggest thing to hit the FPS market in a long time. For those of you uninitiated I'm going to give an overview of what is known about PS2 and what you can expect from the game. Bear in mind that this is current information and all things will be subject to change before final release. The key feature in PS2 that will set it apart is the size and scale of battles. From what we've heard so far thousands of players on one map. While the exact player size hasn't been released yet we do know the game will launch with three continents(maps) that are 8 x 8 km or 64 km2. This gives PS2 the largest playable areas outside of ARMA, and dwarfs maps from your typical FPS. SOE has changed the way continents will be controlled in PS2. Gone is the lattice system which focused combat around bases. In its place PS2 will have a hex based control system. Each area of the map can and will be fought over. Some areas will be small, 1 hex, and be easily captured. Larger areas will be multiply hexes, usually around and encompassing large bases. These will require capturing multiply points to finally control the associated hexes. PS2 will also feature a mission system. When the player logs on, based on whats going on, the game will generate missions for the player to accomplish. This gives the newbie direction and a goal to achieve. Its also been discussed that Squad and Outfit leaders will be able to give missions for their troops. Taking and controlling the continent would be victory enough for some, but SOE wants to incentivize players fighting for territory even further using resources. Each captured hex will generate amounts on three different resources. These will go to the empire and each member will receive a portion of them. The individual player will then use them every time they wish to use a vehicles, or for certain consumables like grenades. SOE mentioned that certain resources will be important for different factions. This could then be used on a strategic level and allow one faction to cut off needed resources for another, allowing them the upper hand. Advancement in PS2 will be achieved using certification points. Certification points can be used to advance up cert trees allowing the player enhanced abilities or options. There are trees for all classes, every vehicle as well as every weapon. Unlocks for classes can enhance things like healing or health, vehicles can unlock different engines and weapons, weapons themselves can unlocked things like better optics or under slung grenade launchers. Certification points will be acquired at a rate over time, and the player will continue to gain them even off line. To benefit the player with more time, completing missions in game will grant the player extra certification points. Further expanding on this Outfits, the guilds for PS2, will also earn and use certification points. This will allow outfits to specialize into certain roles, Airbourne infantry for example. In the reverse they can generalize and open the outfit up to a more combined arms approach. Cosmetic customization is to play a big role in PS2 and is one of the primary ways SOE plans to monetize the game. Players will be able to by custom skins for their avatars as well as weapons and vehicles. Camo and other patterns like Zebra print will be available. Boosts as well as weapons have also been mentioned as being purchasable through the "Store". SOE has tried to alleviate the pay 2 win fears, by stating that all weapons available through the "Store" can be acquired in game completely free. 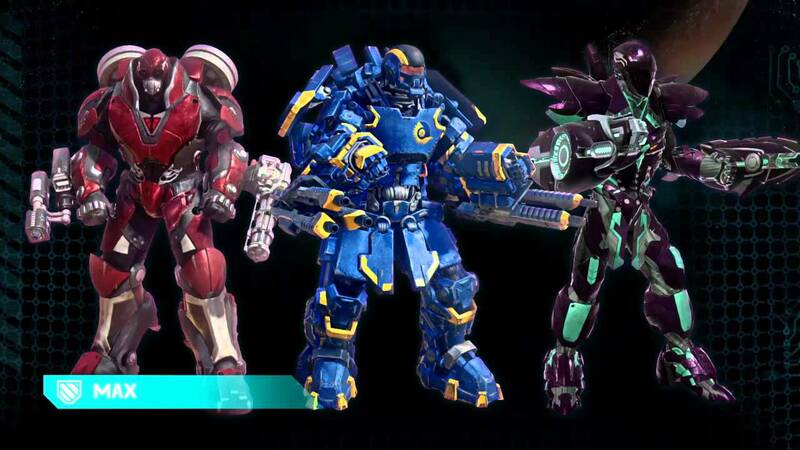 Planetside 2 will have three faction battles, below is a little background on each, from the wiki. A conservative, authoritarian, collectivist nation who strive to regain contact with the homeworld and reunite the warring factions. Their leadership is a public oligarchy known as the Overwatch, composed of various representative officials and their associated Ministries, who regulate allotted portions of society in accordance with their own expertise and the collective will towards favourable outcomes. They believe that authority is the bastion that protects humanity and that in a truly free society, with no Big Brother to guide and watch over citizens, misery and suffering would quickly be visited to all. Furthermore, they regard the Vanu technology as dangerous and disruptive, a chaotic force threatening the stability of their righteous order, and only begrudgingly do they utilise it in warfare. Their vision of the future is one of peace restored through their benevolent rule, and humanity reunited by the reopening of the wormhole. They stand by the view that the Vanu went extinct by meddling with power on the orders of magnitude which was to be found in their artifacts and technologies, and they fear groups such as the Sovereignty will drive humanity to a similar fate, causing as much damage to reality as possible along the way. Their ordinance is characterised by its high rate of fire and correspondingly great ammunition consumption. A separatist faction determined to remain free of the controlling and domineering Republic, as well as to liberate the rest of humanity from the Republic, whether or not they share the Conglomerate's theories. Unlike the authoritarian and technocratic TR and VS governments, the NC are fighting for democracy, freedom, and human rights. As a rebel group, their leadership lies with the Revolutionary Command, a visible co-operative of military experts and leaders who direct the liberation efforts as a whole. They feel that any form of control is oppression and that a miserable free man is better off than a contented slave. Consequently, they view the Vanu technology as a potential tool of control, and the Vanu Sovereignty as technocratic tyrants, would-be dictators like the Republic, only under the banner of science and probably much worse. Their view of the future is one of freedom and self-government, where every man elects his own path and flourishes in what ways he sees fit. They rely on ponderous vehicles and slow-firing heavy weaponry, foregoing mobility and tactical flexibility for heavy armour and superior firepower. As their name suggests, the New Conglomerate is a diverse collection of forces that have banded-together (but have little trust of one another): ordinary citizens drawn into the conflict, various rebel groups that were previously autonomous, expatriate Terran and Vanu soldiers, and the Expeditionary Force (“XForce”) of the Royal House of Auraxis (the rightful heirs to the Vanu throne, forced into exile, the sole possessors of a working wormhole). The NC's democratic philosophy is often their achilles heel militarily, as they lack the iron-fisted leadership structure of the TR and VS. From the New Conglomerate's point of view, however, theirs is the only moral and just cause. A loose transhumanist cult of academics, intellectuals, and technology worshippers who believe that human destiny lies in the further development and exploitation of the alien technology. Their leadership is the clandestine Sovereignty Council, the composition of which is unknown without itself and the existence of which is obscured to those outside the Sovereignty. They see the Republic as pedantic and outmoded, a used-up idea and restriction on the continuing ascendancy of the species through the synthesis of man and machine. They also see the New Conglomerate as a savage, ochlocratic band of thugs who have repackaged old mistakes in new dressings and are desperately afraid of new concepts which they cannot grasp, and the future these promise to the far-sighted. Their view of the future is one of scientific perfection and purity: they believe that the Vanu used the power of their advanced technologies to transcend their physical limitations and the mundane world, ascending to a superior state of being, and ultimately, a higher plane of existence. Scientists and intellectuals through-and-through, they see this path as an enlightened ascension and hold the Ancients up as a shining example for mankind to follow. Hopefully and eagerly they envision humanity imitating this metamorphosis, firstly through the enhancement of the human condition via "hypertech" (foreseeable technological breakthroughs which have not yet quite arrived), and eventually, by the replacement of human beings altogether; from there, not even they can imagine yet. They are most reliant on alien science and technology, and often more than compensate for their shortcomings through the superiority of their engineering, utilising mind-bending physics, high-energy arrays, and other exotic weaponry to defend themselves. There will be six playable classes in the game, each with its own unique role. Players will be able to easily switch between classes, and each has its own certification tree. - First up the light Assault. The main feature of this class is its jump pack, which will allow the player to boost to great heights in short burst. The class is limited to "carbine" version of each factions main weapon. - Next we have the Engineer. Like most games this class will be responsible for repairing damaged vehicles, as well as placing things like mines. From alpha footage we have seen the class also has the ability to place down a player controlled turret. - In the number 3 spot the Medic. Much like you would expect the medic can heal and revive fallen teammates. Its also suppose to have a form of slow AOE heal. - The Infiltrator will be your spec ops type class. The class will have a limited form of cloak similar to "Predator". This class is also the only one to have access to sniper rifles. - The Heavy Assault lives up to its name sake. This is the only class to have man portable Anti vehicular and Anti Air weapons, as well as light machine guns. - Finally the MAX suit. A form of powered armor the MAX is the most heavily armed and armored of the infantry classes. The MAX has arm mounted weapons that can be separately customized, allowing the player and combination of anti infantry, anti vehicular, or anti air weaponry. This is also the only infantry class that cannot hack "capture" a control point, meaning it will need to be supported. Vehicles in PS2 come in two flavors, the first are "Nanite Systems" vehicles. This vehicles are common pool or available to each faction. Starting on the ground you have the Flash, A one man ATV with a gun mounted forward. Its fast and maneuverable but very susceptible to fire. Next the Lighting Tank. The Lighting is a light one man tank, relying on speed more than armor. The tank featured a small auto cannon on E3 footage, and is also suppose to an option for a AA turret. The finale ground vehicle is the Sunderer Transport. The Sunderer is able to carry 10 infantry plus two MAX units, it has two turrets for protection, The Sunderer is also the most heavily armored vehicle in the game. The second set of vehicles are "Empire Specific". Each factions have a Main Battle Tank and Fighter aircraft. For the TR their tank is the Prowler, its main feature are two rapid fire main tank cannons. The NC have the Vanguard, which like the factions is the most heavily armored tank, as well as having the most powerful cannon. The VS have the Magrider. The Magrider is a hover tank and does not have a main turret. The driver will have to maneuver to entire vehicle to bring the main cannon to bear, similar to the Type 32 Nekomata (PAC) in BF2142. Each tank will also feature a secondary turret which can be configured to Anti tank, Anti infantry, or Anti Air. The fighter aircraft in PS2 are VTOL and have with exception of the VS Scyth have similar flight characteristics to VTOLS from 2142. The Scyth following the VS benefit of more maneuverability, flies like a UFO. Its hard to explain without seeing. After the Scyth, the TR fighter is the Mosquito, and the NC use the Reaver. All fighters can be change from Air superiority to CAS aircraft. SOE has developed several tools outside of the game to keep your mind on PS2 all the time. First off is going to be the stats page. Similar to other games you will be able to track any thing from kills to revives. There will also game map for each continent on the site page that will actively update with whats going on in the game. Similar to the site, applications for Android and IOS devices will allow you to access the map and site page. The coolest part of the application is the ability to hook into the games built in voip while using your phone. Well after that I hope that I've peeked your interest. I think PS2 has a chance to be a big hit here at TG. Its got the gameplay, the tools, and the sear size that will allow us and require a level of teamwork that we've only seen in titles like ARMA or PR events. For the unaware closed beta is starting soon, very vague but the feeling is before the end of july. Sign ups are on the main site http://www.planetside2.com/. Right now if you haven't please hope over to the Tactical Gamer PS2 forums http://www.tacticalgamer.com/planetside-2/ and join in on the discussion. On launch TG will be supporting an outfit in each faction that will be open to all members. I hope to see you all in game. I just got a Stargate geek-out moment-- wormhole, alien technology, and the Ancients ascending to a higher plane of existence. Awesome. I know what faction I'm playing with.